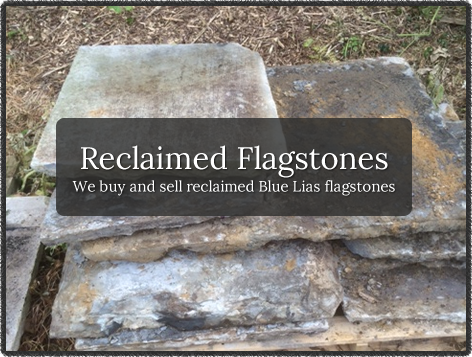 Here at Reclaimed Blue Lias Flagstones we specialise in the buying and selling of reclaimed Blue Lias flagstones. Blue Lias flagstones have been used for centuries throughout England and in particular the South West. They have been used in ancient churches, farmhouses and cottages. They are used for floors, paths, steps and outside court yards. Today reclaimed Blue Lias flagstones are more popular than ever and rarely stay in our storage barn for long.